There are many things that matter to me: My family, my studies, my guitar, and my heritage. But one thing holds a special place in my heart: The ocean. Having grown up in El Salvador, the Pacific Coast was a common destination on every holiday or opportunity we had. Enjoying a trademark seafood soup under palm trees overlooking surfers riding on strong but smooth waves was something to look forward to as often as it was possible. This was the ocean I learned to love. It was not until my junior year of high school that I became aware of a different, and grimmer, reality of the coastal life in El Salvador. I volunteered to go to a non-touristic coastal community where I met a people that lived in extreme poverty. It was a fishers’ community that once was productive and healthy, but now faced existential threats. Young people, third and fourth-generation fishers, were worried about finding income opportunities foreign to what they have always known. The main reason behind their declining livelihoods was, as they said, the lack of fish in the ocean. Without being fully aware, I was witnessing the social challenges of unsustainable fishing practices. I was sure of one thing: I did not want to be just an observer; I wanted to be part of the solution. Fast-forward to the present. I am now in my third year of Ph.D. studies at the Department of Geographical Sciences at the University of Maryland. 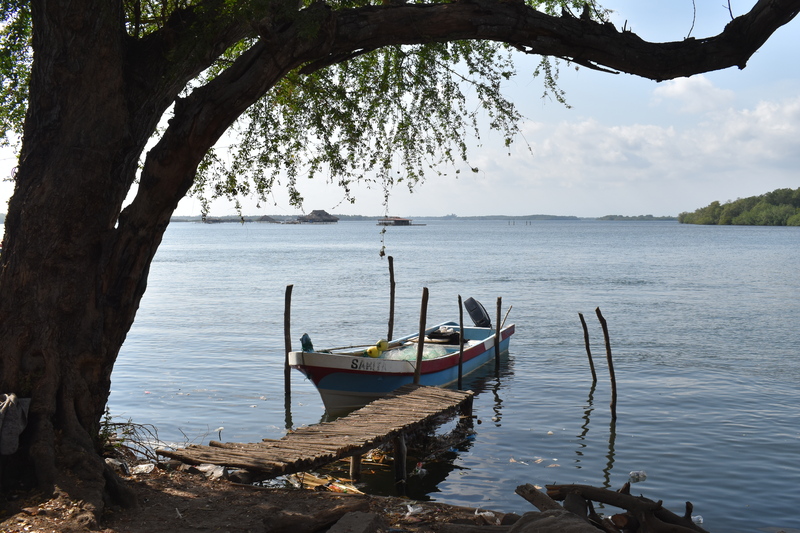 Here, I research management interactions among coastal stakeholders and how these interactions, and the decisions they lead to, either secure or endanger the livelihoods of coastal communities against climate threats. I have learned that the coastal ecosystem is complex, and has a multi-level network of managers that interact with coastal livelihoods in different ways. For example, federal, state, or county-level regulations affect coastal communities when it comes to fisheries management. Residents depend on government actions for managing the challenges of a changing climate. As a scientist, I want to understand the perceptions of coastal stakeholders because I believe that coastal management needs to integrate the concerns and priorities of those affected the most. Unfortunately, this is not the case in many developing countries like El Salvador. Those who make their living fishing do not often have a say in management of the fishery. That’s a problem, as fisheries management is a question of politics as well as resources. Initially, I felt as though venturing into a Ph.D. would make me less useful in the real world, as I had a misconception that scientists did not engage much with the practical aspects of management. However, since I started working on the Maryland Sea Grant-funded project called Maryland Climate Resilience Indicators (MCRI), I have put that misconception to rest. The MCRI is a participatory process that engages with coastal stakeholders from multiple levels (federal, state, county, NGOs, and universities) to define a shared understanding of the vulnerabilities and risks climate change poses to coastal Maryland. I wanted to join this project because I wanted to learn how scientists could work with multiple stakeholders to contribute to a larger understanding of coastal management. I believe that Maryland can be an example for the rest of the country and the world when it comes to successful stakeholder collaboration. We are seeing how decades of work are paying off and the Chesapeake Bay is showing signs of improved physical and biological health. The MCRI project is still ongoing and I have big expectations about its ability to improve the integration between government actions and the livelihoods of coastal inhabitants. I am happy to be part of this effort and get to know all the amazing people working together to improve the coastal environment. When I was growing up, my father told me: “Aim high and don’t say you can’t do something until you have tried.” This phrase became a mantra in my life and has been embodied in many of my actions, such as when I decided to start a non-profit initiative to increase environmental education in that coastal community in El Salvador, or when I moved to the United States seeking higher quality education, or when I applied to a Ph.D. program. Now, my aim is to be useful and contribute to Sea Grant’s mission to address key questions of environmental management, support marine education for a broader public, and communicate applications of research findings to science-based management of watersheds and coastal ecosystems. I am aiming high, and I am still trying. Daniel is a doctoral student at the Department of Geographical Sciences studying collaboration networks of stakeholders in the coastal areas of Maryland. Daniel is passionate about using science in practical ways that improve the livelihoods of coastal inhabitants.